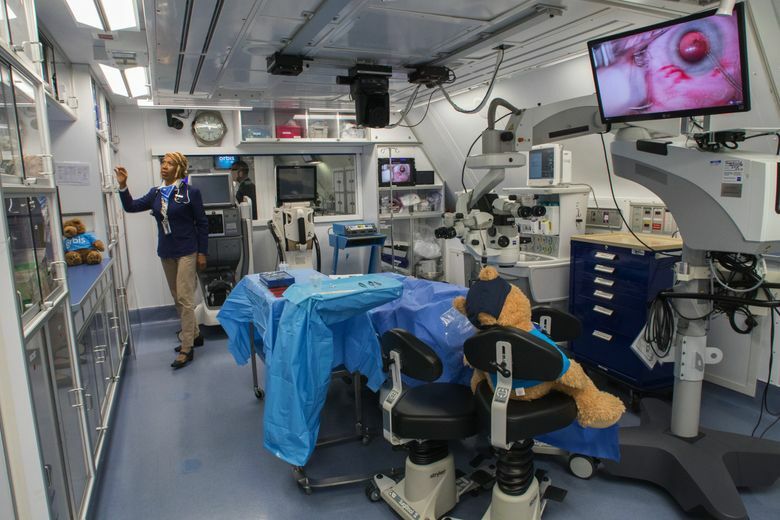 Boeing and the Museum of Flight are hosting the Flying Eye Hospital, housed in a plane donated by FedEx to Orbis International, a nonprofit organization that combats avoidable blindness in developing countries. 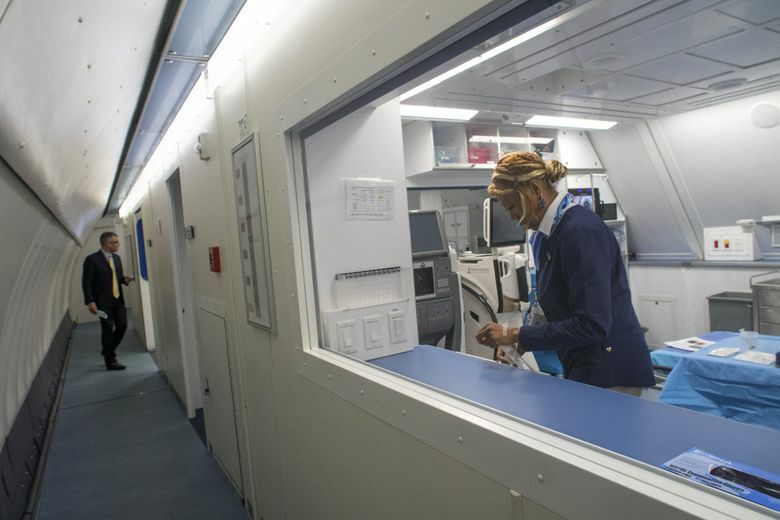 The world’s only airborne eye hospital will be parked at Seattle’s Museum of Flight for the next two weeks, giving visitors an opportunity to tour a modified MD-10 freighter packed with surgical equipment and teaching space that last year treated patients in Vietnam, Cameroon and Bangladesh. 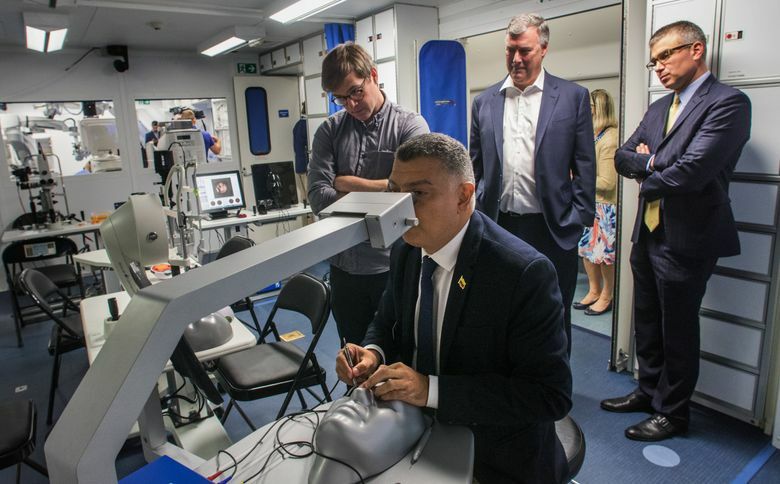 Boeing and the museum are hosting the Flying Eye Hospital, housed in a plane donated by Fed­Ex to Orbis International, a nonprofit organization that combats avoidable blindness in developing countries. It’s a U.S.-accredited hospital with its own water-filtration, oxygen-concentrator and electrical-backup systems, so all it needs is “water, stairs, patients who need help and doctors to work with,” said Hunter Cherwek, deputy chief of clinical services for Orbis. 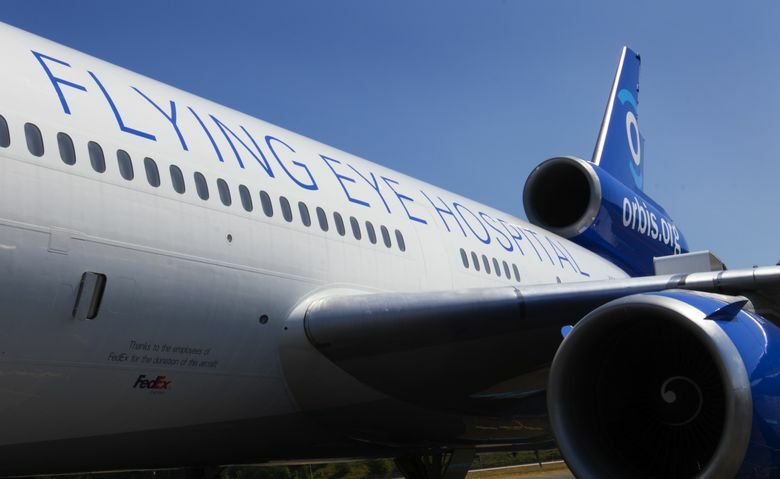 This MD-10 is the third generation of the Flying Eye Hospital, which has visited over 90 countries since 1982, Cherwek said. 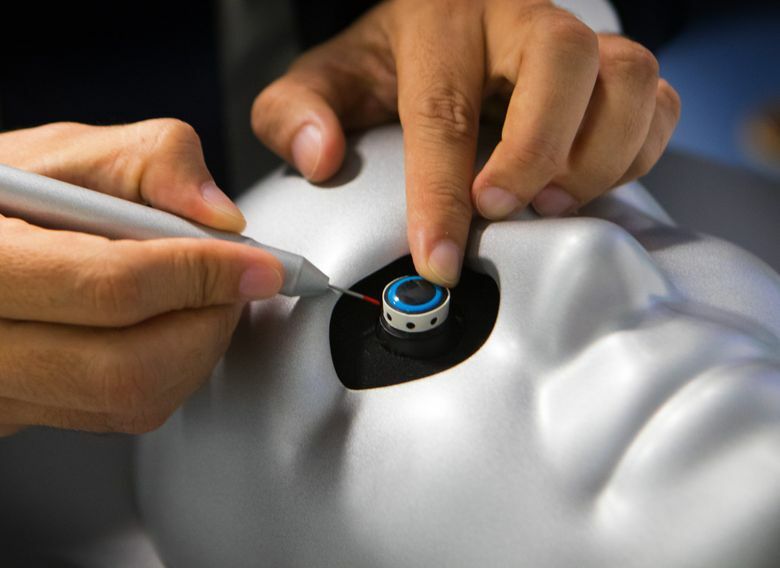 He said Orbis takes the plane to areas where there is a public need and an existing “critical mass” of ophthalmologists who can use further training. Orbis President and CEO Bob Ranck said everything that’s done on the plane is focused on teaching. Orbis’ team of some 400 volunteers consists of nurses, biomedical technicians and ophthalmologists from 30 different countries. Aside from similarities in the cockpit, everything from the cockpit door to the tail is completely different from a conventional MD-10, said Bruce Johnson, director of operations and maintenance. The MD-10 was a conversion of the DC-10 that ended production in 1989, eight years before Boeing acquired McDonnell-Douglas. Johnson oversaw the current plane’s modifications, which began after Orbis received it in 2010. Volunteer FedEx pilots donate their time to fly the plane to the various countries it serves. FedEx is the only company still using the MD-10 in its fleet, so its pilots are among the few certified to fly the freighter. Cynthia Berwyn, a senior manager of flight training for FedEx who recently flew the plane back to the U.S. from Peru, said she donates her time to Orbis because the organization is changing lives. 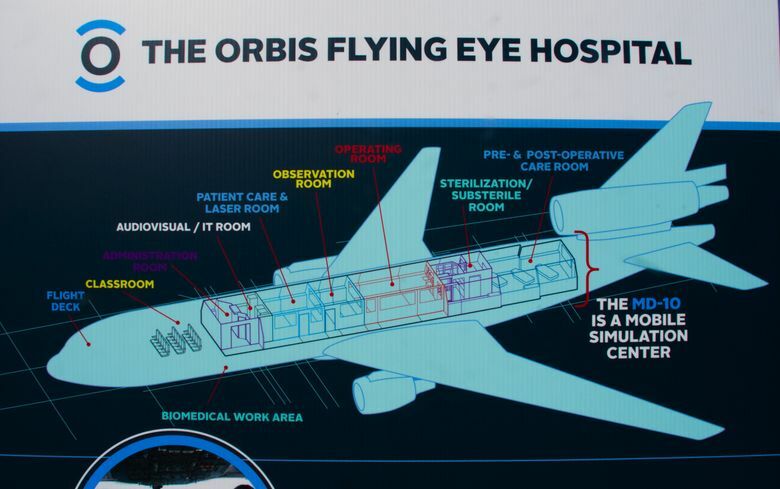 Through its partner institutions and on the flying hospital, Orbis says, last year it conducted over 5 million eye screenings and more than 96,000 eye surgeries. Visitors to Seattle’s Museum of Flight can tour the plane July 28-29 and Aug. 4-5, before it leaves for a new mission in Mongolia.